The food: Coming up with new ways to use ground beef is tough. We’ve grown bored with our regular standbys—hamburgers, tacos, meatloaf. To shake things up, I decided to try shepherd’s pie. It’s easy, fast, and includes an entire meal of protein, veggies, and carbs all in one dish. I’m also a big fan of anything I can make and bake right in my trusty cast-iron skillet. Granted, the mashed potatoes require a separate bowl, but this is still a pretty low-cleanup meal. 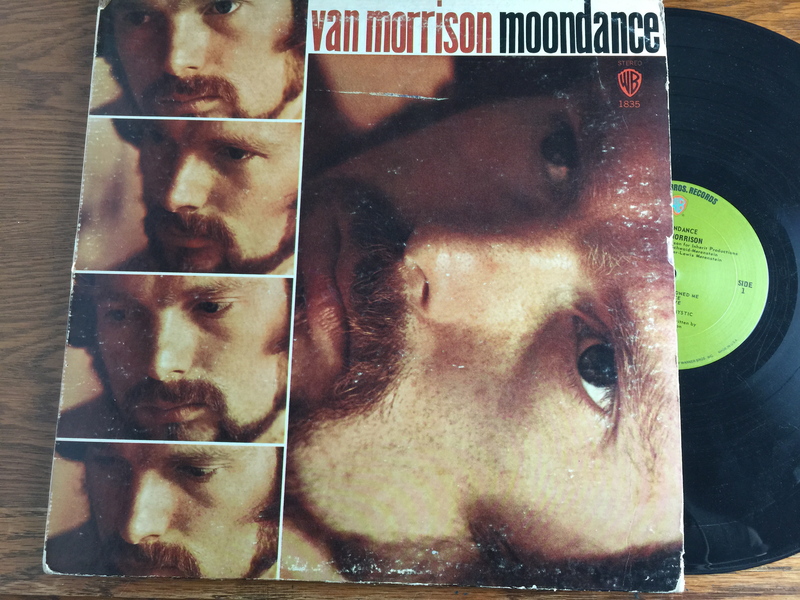 Don’t own Van Morrison’s “Moondance”? Listen to it on my Shepherd’s Pie playlist on Spotify. 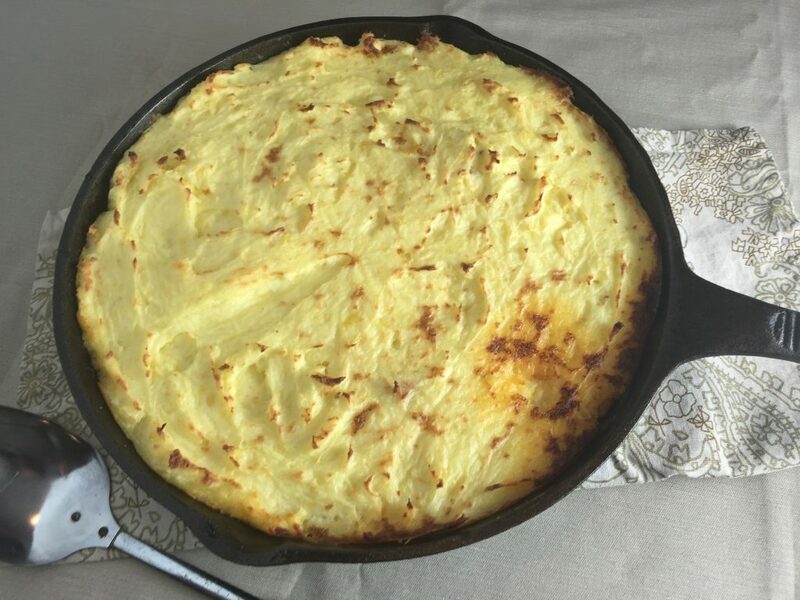 A gluten-free dinner, the meaty base of this shepherd’s pie has a great earthy flavor, and the mashed potatoes are rich and creamy. Best of all, it all comes together in half an hour or less. It’s a perfect meal on a cold night. The only problem I had with this dish was not eating the entire skillet in one sitting! Want more ideas for using your cast-iron skillet? Try my recipe for Pulled Pork Nachos, too. Brown beef. Add carrots, onions, and garlic. Cook vegetables until tender. Add frozen peas and corn, worcestershire, paprika, ketchup, salt, and pepper. Cook until vegetables are warm. Top meat mixture with potatoes. Bake for 10-15 minutes, until potatoes begin to brown. Serve immediately. 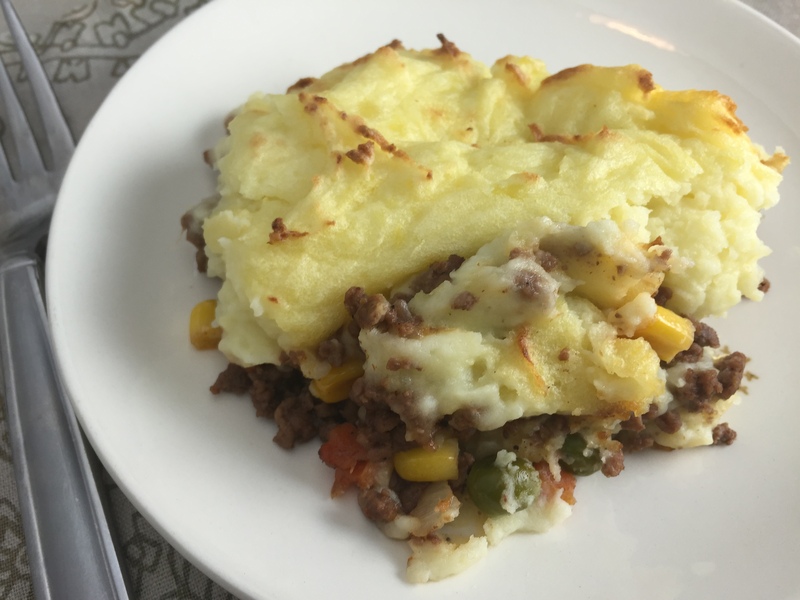 Love Shepherds Pie. Great idea to make in a cast iron skillet! I didn’t realize this was so easy to make. I will have to try a smaller version this in my iron skillet. I love shepherds pie! This looks yummy and putting me in the mood. A friend recently made it for us. I hadn’t had it since I was a kid. Soo good. Never would have thought about cooking this in my iron skillet, great idea! Thank you. Thanks, for sharing on Pinterest, Stephanie! I love how you are combining music and food! “Shepherd’s Pie playlist” lol, I love it. 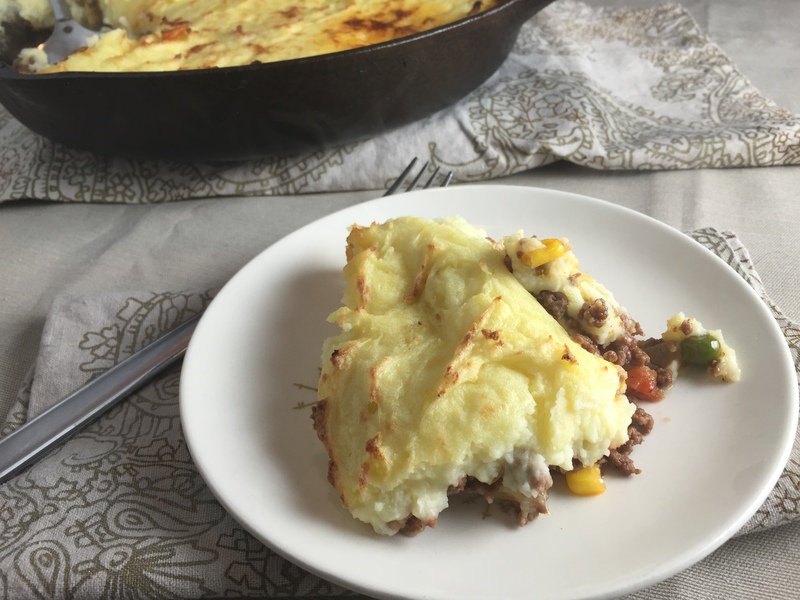 I also love how you made this shepherd’s pie in a skillet – I love making shepherd’s pie but hate cleaning up all the saucepans and then the casserole dish too! Thanks for stopping by to read and comment, Kyra! I have a lot of fun with the blog — music and food both make me really happy. I hope you try the skillet shepherd’s pie. Easy clean up is my favorite.